AIIMS Rishikesh Recruitment 2019 – Apply through Online for 33 vacancies of Group A, B & C posts: All India Institute of Medical Sciences recently released a job notification on its official website aiimsrishikesh.edu.in for Group A, B & C posts. Candidates are allowed to apply for AIIMS Rishikesh Recruitment 2019 from 11th Feb 2019 to 18th Mar 2019. 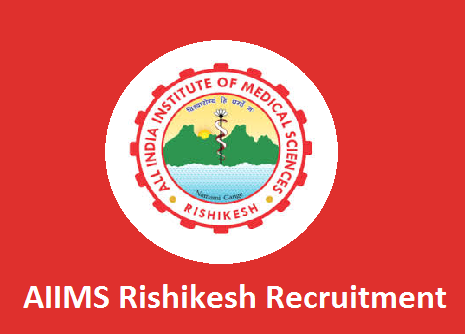 Candidate can find further details like Eligibility Criteria, Age limit, the Selection process of AIIMS Rishikesh Recruitment 2019 on the below page. Job Seekers can apply for the post through the Official page aiimsrishikesh.edu.in and careers99.com. Interested Job Aspirants who are ready to apply for All India Institute of Medical Sciences 2019 Notification must possess the below-given Eligibility Details. For Medical Physicist – Candidates should be passed M.Sc. in concerned subject from recognized University. For Chief Cashier – Candidates should be passed Graduate in Commerce. Possessing five years’ experience of handling cash and account work in government organization. For Assistant Engineer: – Candidates should be passed Graduate in Civil, Electrical, Mechanical/Electrical Engineering from a recognized university or institute with 05 years’ experience in relevant filed. For Junior Engineer:- Candidates should be passed Graduate in Civil, Electrical, Electrical and Mechanical engineering from a preconized university or institute. Or Diploma in Civil, Electrical, Electrical and Mechanical engineering from a preconized university with 05 years’ experience. For Senior Mechanical:- Candidates should be passed Matriculation or equivalent. ITI/Diploma certificate in Refrigeration and Air Conditioning from recognized institute/Polytechnic of a minimum of 12 month. For Mechanic:- Candidates should be passed Matriculation or equivalent. ITI/Diploma certificate in Refrigeration and Air Conditioning from a recognized institute/Polytechnic of a minimum of 12 month. First of all, Open Official Website i.e., aiimsrishikesh.edu.in or Below Mentioned link from careers99.com Website. Fill All required Details in the form and Upload the required Documents and Pay Application Fee if Required.